Commercial Progression, a Symmetri Marketing Group company, was selected in 2016 as an Official Strategic Supplier of web design and development services for the University of Michigan. Commercial Progression has provided web design and development services to the University of Michigan on a per contract basis since 2008. The new status of strategic supplier designates Commercial Progression and Symmetri Marketing group as a preferred vendor with a streamlined process for securing their services. The University of Michigan has been ranked as the 17th top university in the world by the 2016 U.S. News and World Report rankings. Commercial Progression is proud to be one of the Official Strategic Suppliers for web design and development services to this prestigious world-class university. 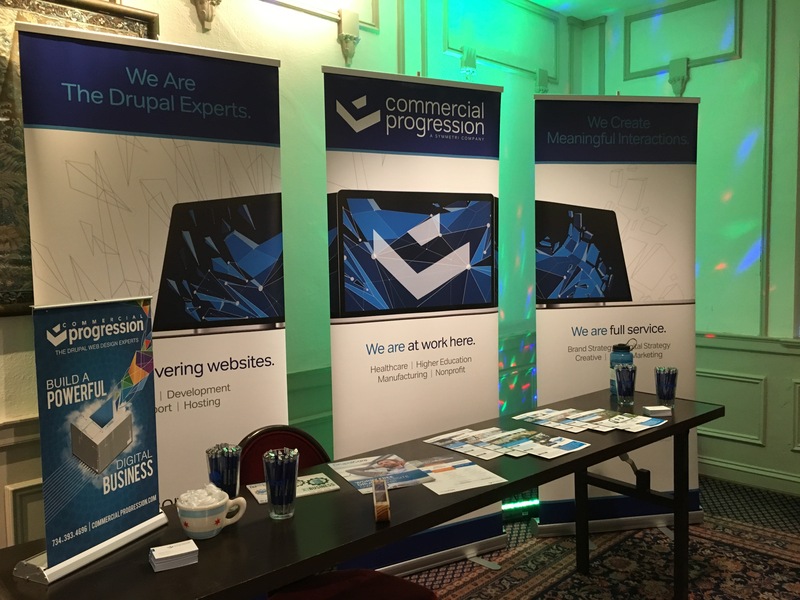 Prior to securing the status of an official strategic vendor in 2016, Commercial Progression had provided Drupal web design, development, and support services to many schools and departments within the university. This new agreement further develops the long-standing successful relationship between the university and Commercial Progression. 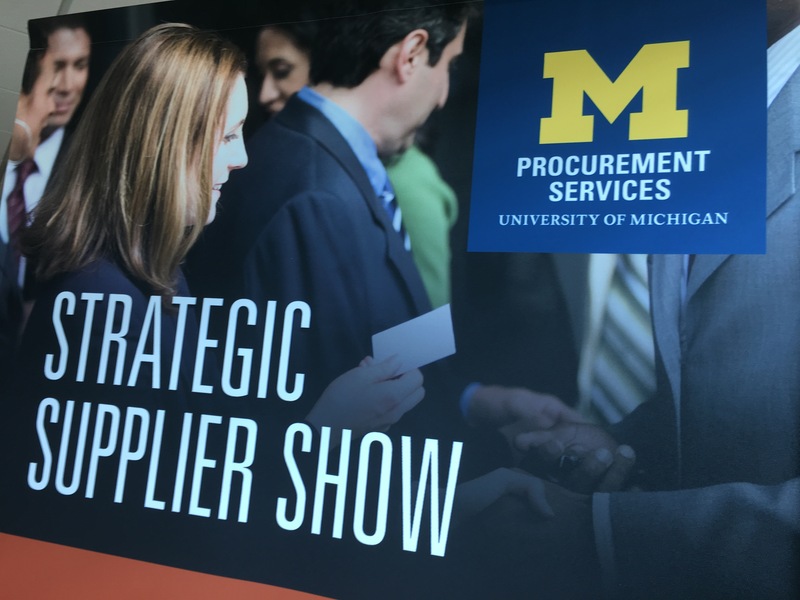 Alex Fisher, General Manager of web design and development at Commercial Progression, said: "I am very pleased that we have been invited into this strategic vendor opportunity with the University of Michigan. The University has been one of our best customers year over year and this will only make it easier for us to work together now and in the future. " Commercial Progression is the largest Drupal web design, development, and support agency in Michigan. The University of Michigan is a heavy adopter of the Drupal open source content management system platform and it makes sense that they would desire a formal vendor relationship with a leading Michigan Drupal agency. "We have worked on many Drupal websites for the University of Michigan and are truly proud of the breadth and variety of websites we have had the opportunity to develop and support, " said Fisher. Commercial Progression has provided Drupal website design, development, and support services for the following schools and departments within the greater university. 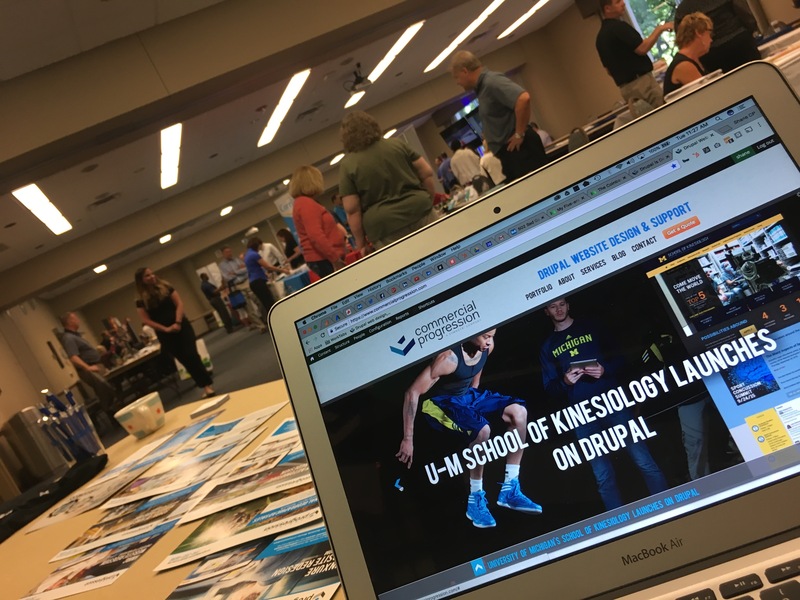 Commercial Progression developed and launched the designs of Michigan Creative onto the Drupal platform for the School of Kinesiology in 2015. The School of Kinesiology is the 4th largest college within the greater university and is a testament to the type of delivered work that earned Commercial Progression a seat at the strategic vendor table. A new provision for web design and development vendors was made available in 2016. Commercial Progression applied for the strategic vendor positions and was accepted in the 3rd quarter of 2016. On September 27th of 2016, Commercial Progression attended their first Strategic Product and Vendor Show held at the North Campus Research Complex followed by a second showing at the Michigan League building in April of 2017. "As an alum of the University of Michigan-Dearborn's computer engineering program, it is a true honor to give back to the university through the same professional services that I have earned a degree in," Said Fisher. Founded in 2008, Commercial Progression is a Symmetri Marketing Group company focused on Drupal website design, development and support. Commercial Progression serves the manufacturing, higher education, and media industries with clients including TRW Automotive, National Geographic, and The University of Michigan. Visit their website at www.commercialprogression.com. Founded in 2003, Symmetri Marketing Group is a full-service B2B brand and digital marketing agency focused on helping organizations create interactions that are meaningful to their customers, and to their brands. Symmetri’s mission is to use truth, purpose and creativity to build brands and drive sales for its clients. Visit their website at www.symmetrimarketing.com.